For those who are able to determine the conditions of their application setting, it will be easier to choose the right features that can target their application, though the VCA still has to be calibrated individually for each application. At the same time, vendors must explain clearly to customers the limits of each function and the most appropriate settings for the video. Several intelligence functions are applicable across all market segments. “Camera tamper detection, intrusion, and motion detection can be used in almost any scenario where a security camera is wanted,” said John Sepassi, Account Executive at IntelliVision. People counting, loitering, object classification and object left behind are also among the features commonly requested across verticals. Object left behind detection however, proves to be a difficult one to achieve in crowded environments, which ironically, is where it is most requested. Being able to keep up with all that goes on in the facility, on the grounds, or on the road, at all hours on a daily basis all year round, offers users a better peace of mind. Vehicle analysis features such as ALPR/LPR, vehicle counting and recognition, tailgating, speed detection, stopped vehicle, and wrong direction detection are widely adopted in verticals such as transportation, traffic, and city surveillance, but also corporations and enterprises and education settings. Not only can this increase road safety and driving conditions, it helps to minimize accidents on highways and local roads, while enforcing vehicle parking violations, and ensure parking lot management. It is important cameras are not easily affected by varying light conditions such as street lamps, headlight reflections from the vehicles, or parking lot illumination. They must be able to capture and register vehicle license plates when traveling at a high speed. Customer and marketing analysis or business intelligence-related features such as people counting, flow management, crowd detection, and face detection and recognition are highly requested features for any vertical that deals with a large number of people on a daily basis. This can include retail, banking, gaming, public transportation, airports, restaurants and museums, and hospital settings. For each of these verticals, the VCA must be able to determine customer flow, crowd detection, dwell time, and utilize its face detection/recognition abilities to compare against its existing database of black lists and white lists. Black lists include wanted criminals and terrorists; the white lists range from VIPs and valued customers to frequent flyers, depending on where it's being used. In gaming and airport applications, functions such as multiple-camera tracking across several screens are also necessary for tracking targets as they move through different areas of the facility. With an increasing trend rising in business intelligence, placing VCA in a retail setting can effectively help management determine reasons for good or bad results in their stores. If used correctly, VCA acts as a powerful tool for retailers to increase general store performance, measure staff performance, analyze the effectiveness of marketing activity, improve loss-prevention, map the use of floor space and help with staff planning, according to Thiel. Features such as spill detection or slip-and-fall detection are especially useful in such environments as it can quickly alert store employees. Slip and fall is also a feature requested by hospitals to detect patients who might have fell and were unable to get back up. As patients may roam the halls unaccompanied when they're not being watched, hospitals need to raise their awareness to these situations to prevent further injuries to their patients. Fire and safety features, though important across all verticals, are one of the most important features for the industrial sector, including critical infrastructures, mines, and oil refineries. Many of these infrastructures may employ thermal cameras equipped with analytics for a better detection rate through smoke and steam. These locations have higher chances of being put in high risk situations. A power generator or transformer overheating, a leak in the pipes, any unusual activity has a chance of setting off an unwanted explosion or fire. Oftentimes, the ceilings of these facilities are higher than regular infrastructures, causing the alarm to be delayed by the time smoke or fire reaches the detectors. Having analytics that can recognize these abnormalities can greatly decrease the chances of such events from occurring. Perimeter detection also becomes quite an important feature as only authorized personnel should be accessing these facilities due to the numerous safety cautions surrounding such facilities. VCA is flexible enough to be used in a variety of settings, but it is important users are clear on what to expect. 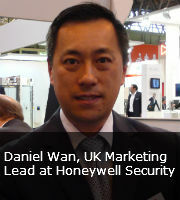 “While VCA has proven itself to be extremely valuable in certain situations there are still areas for improvements in features such as queue management and people counting in an area (not through a doorway), or face recognition and identification for these applications,” said Daniel Wan, UK Marketing Lead at Honeywell Security. Oftentimes, customers will hold high expectations for VCA features that are still much too unrealistic at this point in time. Also, users must ask themselves if employing VCA for their application will really make a difference in their operational efficiency. It is easy to become dependent on certain technologies, but in some cases, they may not be needed at all.